Did you know that we are in the peak of ume (梅） season? Ume is commonly translated as plum, but it’s actually more closely related to the apricot. The flowers bloom in late winter and are respected in China and Japan for their perseverance in harsh weather and loved as a harbinger of spring. 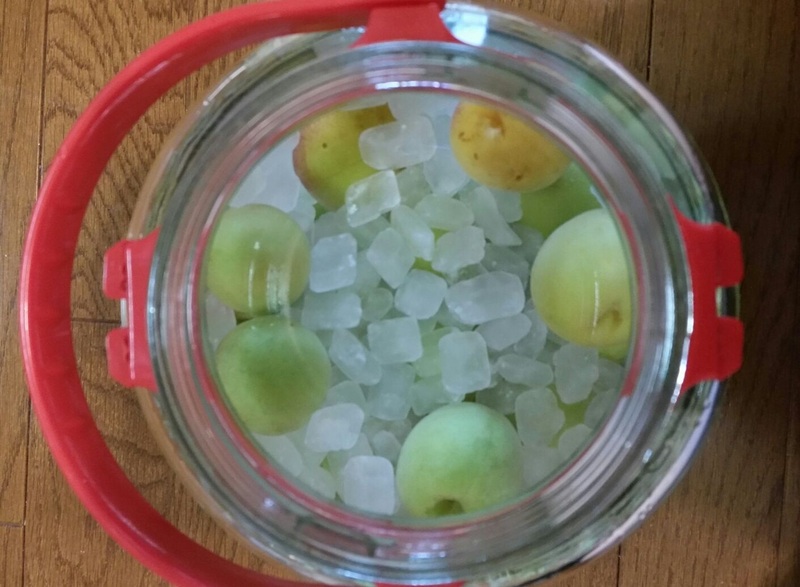 The fruits are ready to pick in around June, which is why the word for rainy season in Japanese is 梅雨, literally, “ume rain.” If you’re suffering from the rainy season blues, you could try your hand at making umeshu (梅酒, plum wine)! It’s super easy to make and will give you something to look forward to next rainy season! These are instructions and advice from my host mother, with extra information from the internet. Ume will likely be available at your local grocery store, or you could go to a picking event! Recipes vary from around 300 grams to my host mother’s full kilogram, so you can adjust the sweetness to fit your tastes! White liquor is 35% alcohol, so it can easily extract the flavors of the ume and is less likely to spoil than liquids with a lower alcohol content. You can use sake or shochu as well, but be particularly careful to avoid spoilage and be sure to use one that is over 20% alcohol, as required by Japanese law. Be sure to remove the tiny stems from every ume. If left on, they will make your umeshu bitter! A bamboo skewer is recommended for this; supposedly using metal utensils will harm the ume. Clean the ume thoroughly in water, then carefully dry them. 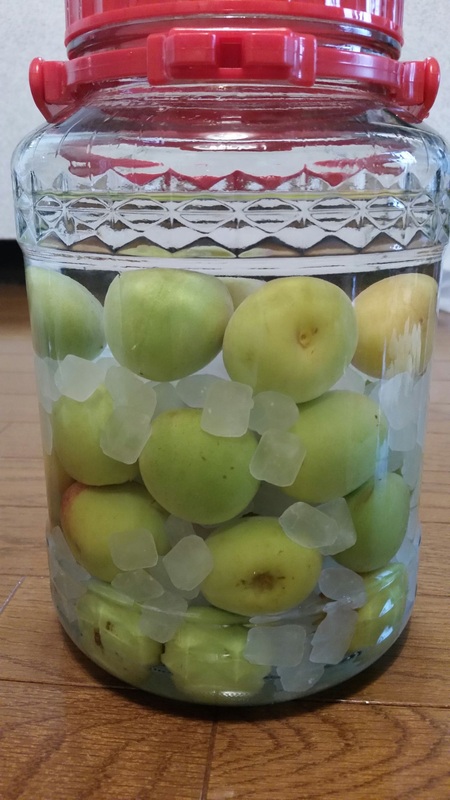 Place the ume and sugar in the jar in layers, then add the liquor. Close the jar and you’re done for the day! Be sure to give your brew a light stir at least once a week. (A friend of mine recommends as often as everyday, and stirring up from the bottom to help the sugar dissolve quickly.) It can be drunk after two or three months, but a year or more is recommended. If you keep it for over a year, take out the ume and strain the liquid so it doesn’t get too murky. If you’d like to enjoy the taste of ume but avoid the alcohol, or just want faster results, then give ume syrup a try! There is no alcohol in this recipe, so be particularly careful to have a clean jar and clean, dry ume! Place them in a plastic bag and freeze them overnight. This help breaks up the inner fibers. Close the jar and store in a cool, dark spot. Give the ume a stir everyday. In 7-10 days, the syrup will be done! Remove the ume, strain the liquid through cheese cloth, then skim off anything that might be floating on the liquid. Last, cook it for a few minutes over low heat, then move to a clean container for storage. Store in the refrigerator. Serve with 3-4 parts water or soda.